Talc, Mica, Calcium Aluminum Borosilicate, Polyethylene, Magnesium Myristate, Pentaerythrityl Tetraethylhexanoate, Zinc Stearate, Octyldodecyl Stearoyl Stearate, Silica, Isopropyl Titanium Triisostearate, Phenoxyethanol, Bis-diglyceryl Polyacyladipate-2, Squalane, Sodium Dehydroacetate, Parfum (Fragrance), Lecithin, Sodium Lauroyl Aspartate, Tocopheryl Acetate, Glycine Soja (Soybean) Oil, Tocopherol, Limonene, Bht, Retinyl Palmitate, Zinc Chloride, Linalool, Aluminum Hydroxide, Hexyl Cinnamal, Benzyl Salicylate, Citral, Butylphenyl Methylpropional, Citronellol, Eugenol. [+/-: Ci 15850 (Red 6, Red 7, Red 7 Lake), Ci 15985 (Yellow 6, Yellow 6 Lake), Ci 19140 (Yellow 5, Yellow 5 Lake), Ci 42090 (Blue 1 Lake), Ci 45410 (Red 27, Red 27 Lake, Red 28 Lake), Ci 73360 (Red 30, Red 30 Lake), Ci 75470 (Carmine), Ci 77007 (Ultramarines), Ci 77163 (Bismuth Oxychloride), Ci 77288 (Chromium Oxide Greens), Ci 77289 (Chromium Hydroxide Green), Ci 77491, Ci 77492, Ci 77499 (Iron Oxides), Ci 77510 (Ferric Ferrocyanide, Ferric Ammonium Ferrocyanide), Ci 77742 (Manganese Violet), Ci 77891 (Titanium Dioxide)]. The same pale-pink pressed highlighting powder but in a mini size! Fake awake in just one stroke with Dandelion—Benefit's long-lasting, pressed highlighting powder in ballerina-pink. Its shimmery, satiny, and radiant formula leaves an immediate perk-me-up finish that brightens up your face—even at eight in the morning. 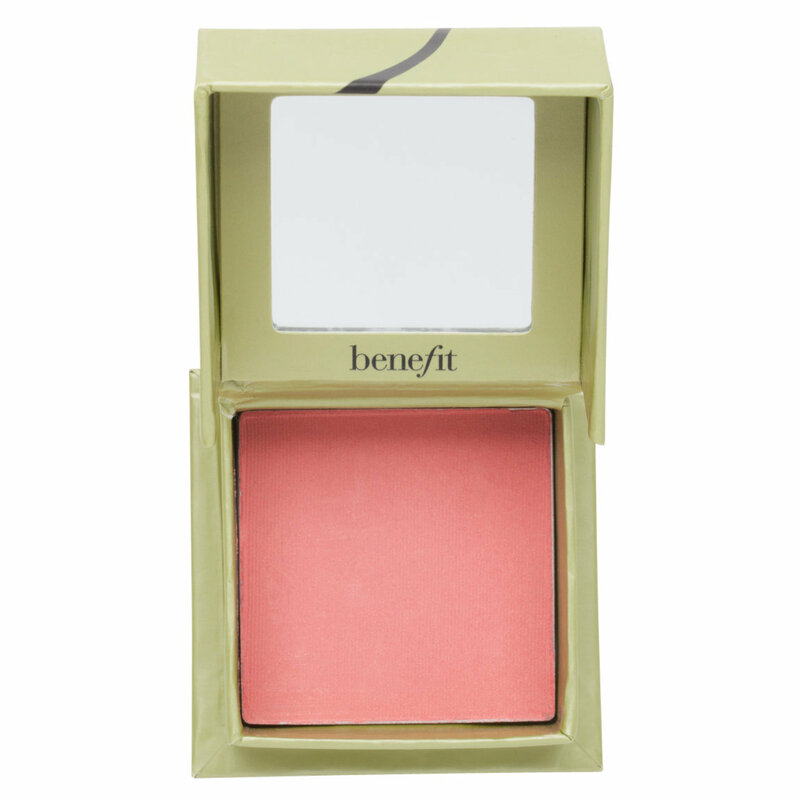 Sweep this highlighting powder onto cheeks as a soft blush, or apply it all over the face as a brightening finishing powder.